The undisputed kings of the '90s line-dancing craze, Brooks & Dunn are not only the biggest-selling duo in country music history, they've also sold more records than any other duo period, including Simon & Garfunkel. Ronnie Dunn was the quietly intense singer with the soulful voice, while Kix Brooks played the part of the high-energy showman. Neither had been able to break through as a solo act, but together they hit upon a winning formula of rambunctious, rocked-up honky tonk with punchy, danceable beats, and alternated those cuts with smooth, pop-tinged ballads. The combination made them one of the most popular country artists of the '90s, and they were still going strong as the new millennium dawned. Leon Eric "Kix" Brooks (born in Shreveport, Louisiana) and Ronnie Gene Dunn (born in Coleman, Texas) arrived in Nashville from very different backgrounds. 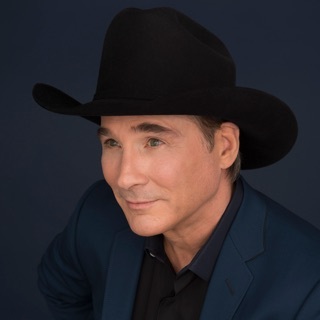 Brooks was a neighbor of Johnny Horton and first began singing with the country legend's daughter at age 12; after a time working on the Alaskan oil pipeline, he moved to Maine and performed in ski resorts and other local venues. 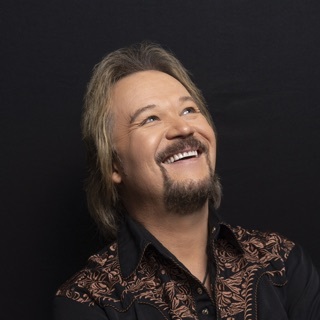 He went to Nashville in the early '80s and found success as a songwriter, penning hits for John Conlee, Highway 101, and the Nitty Gritty Dirt Band, among others; however, his solo recordings -- a few small-label singles in 1983 and a self-titled album in 1989 -- failed to make any impact. Dunn, meanwhile, had been playing with traditional string bands since he was a teenager, but originally aspired to become a Baptist minister. He attended the highly conservative Abilene Christian University, but was kicked out for continuing to play music on the side in area bars. He decided to pursue music full-time and moved to Tulsa, where he led a house band and recorded for a local label from 1983-1984. In 1988, he won a songwriting contest whose prize included a recording session in Nashville; the producer, Scott Hendricks, was impressed enough to pass some of Dunn's material on to Arista executive Tim DuBois. DuBois had a hunch that Dunn and Brooks would complement each other well, and he introduced the two and encouraged them to try writing and recording some demo songs together. When he heard the results, DuBois signed the newly minted Brooks & Dunn duo to a contract. Brooks & Dunn issued their debut album, Brand New Man, in 1991, and it was an out-of-the-box smash. The title track, "My Next Broken Heart," "Neon Moon," and "Boot Scootin' Boogie" all hit number one on the country charts, and the latter song in particular was an inescapable smash that helped kick-start the line-dancing fad that swept country bars across the nation. Brand New Man eventually went on to sell over five million copies and made the duo into country superstars; their supporting tour established their penchant for theatrical live shows as well. Their follow-up, Hard Workin' Man, consolidated their success with a string of five Top Five country hits: the title track, the number ones "She Used to Be Mine" and "That Ain't No Way to Go," and the number twos "We'll Burn That Bridge" and "Rock My World (Little Country Girl)." Hard Workin' Man sold over four million copies, and by the time its run of singles was exhausted, the duo had already completed a follow-up in 1994's Waitin' on Sundown. Five more Top Ten hits followed, including the number ones "She's Not the Cheatin' Kind," "Little Miss Honky Tonk," and "You're Gonna Miss Me When I'm Gone" (the others were "I'll Never Forgive My Heart" and "Whiskey Under the Bridge"). Waitin' on Sundown went double platinum, confirming Brooks & Dunn's status as a blockbuster success. Brooks & Dunn's commercial dominance continued apace with 1996's Borderline, another double-platinum success which produced two more chart-toppers in "My Maria" (a cover of the B.W. Stevenson pop hit from 1972) and "A Man This Lonely," and a number two hit in "I Am That Man." In 1997, the duo issued The Greatest Hits Compilation, whose new tracks, "Honky Tonk Truth" and "He's Got You," both reached the Top Five. And they weren't done as hitmakers by any means; despite failing to go platinum, 1998's If You See Her contained two number ones in "Husbands and Wives" (a Roger Miller cover) and "How Long Gone," and another Top Five hit in "I Can't Get Over You." With such a consistent track record, Brooks & Dunn were perhaps due for the inevitable slip, and 1999's Tight Rope was the closest thing to a commercial misstep they'd ever recorded. Despite some chance-taking in the production and the cover of rocker John Waite's ballad "Missing You," other parts of the album found their formula wearing thin. The record produced only one Top Ten hit in "You'll Always Be Loved by Me," and failed to even go gold. Faced with a downturn in their sales, Brooks & Dunn spent more time crafting their next album, 2001's Steers and Stripes. It helped restore their commercial fortunes with a trio of chart-topping singles: "Ain't Nothing 'Bout You," "Only in America," and "The Long Goodbye." The following year, the duo issued their first holiday album, It Won't Be Christmas Without You. The duo pushed the envelope even further with 2003's Red Dirt Road, a song cycle that served as both a biography and a tribute to their roots and upbringing. The rowdy Hillbilly Deluxe, a Top Ten hit, followed in 2005, with 2007 bringing Cowboy Town, released on Arista Records.